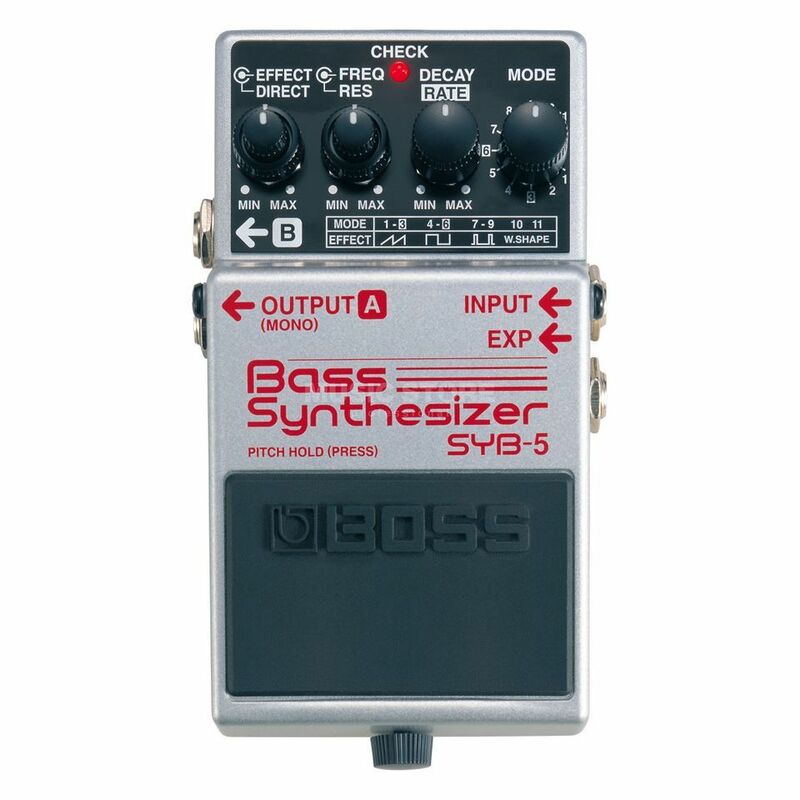 The Boss SYB-5 Bass Synthesizer uses the latest available technology to deliver Digital Signal Processing to your bass signal and re-create the sounds produced by classic analogue synthesizers. This versatile pedal offers 11x wave variation modes, the ability to hold notes and an advanced wave shape mode. Have had this pedal a couple of months and put it through its paces. The 11 variations of synth waves give a total spectrum of weird noises. I use it with an expression pedal and it sounds great with my Studio 110. Five star pedal for a four star price.